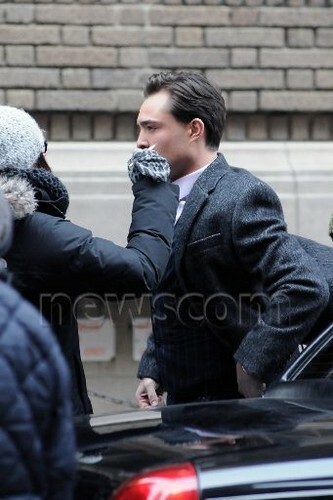 Gossip Girl Set - March 5, 2012. . Wallpaper and background images in the এড ওয়েস্টউইক club tagged: ed westwick 2012 gossip girl season 5 set photo. This এড ওয়েস্টউইক photo might contain ব্যবসা উপযোগী, রাস্তায়, শহর দৃশ্য, and শহুরে.